Women human rights defenders in Bahrain who have been tortured in Bahrain have been subjected to further persecution to stop them from working. In two separate cases, Ebtisam Al-Saegh remains in prison for her human rights activities and Nazeeha Saeed is unable to work as a journalist. They have received no justice. Ebtisam Al-Saegh, the monitoring and documentation officer of Salam for Democracy and Human Rights, has been held in solitary confinement in Isa Town Women’s Prison since her arrest on 03 July 2017. On 18 July, the Public Prosecution ordered Al-Saegh to be incarcerated for six months pending investigation under the anti-terrorism law. She has been subjected to lengthy interrogation and it is feared that she has been badly ill-treated. She is being held away from other inmates to prevent them from hearing her screams, and Salam reports that Al-Saegh has been on hunger strike for the past week in protest at her treatment. Human rights defender Nabeel Rajab, President of the Bahrain Center for Human Rights (BCHR) and Founding Director of the Gulf Centre for Human Rights (GCHR), reported in a phone call to his family that he had seen Al-Saegh in a wheelchair in Al-Qalaa Military hospital, where he is receiving treatment for illness while serving a two-year sentence. According to twitter posts on 16 July, her situation concerned him greatly and he thought from her appearance that she’d been in a car accident, raising serious concerns for her safety and well-being. On 03 July 2017, Al-Saeegh was arrested during a raid on her home for the second time in less than two months. Just before midnight, five cars and a minivan arrived at the home of Al-Saeegh and a large group of armed security agents, reportedly belonging to the National Security Agency (NSA), raided her home without a warrant. According to Sayed Yousif Al-Muhafdah, Vice-President of Salam and a Board member of BCHR, Al-Saegh was subjected to “torture and severe beatings on the head. She was also subjected to psychological torture through a wave of insults and “threats to target her family members if the human rights work was not stopped,” in order to force her to publish on her Twitter account a declaration that she would cease her human rights work and resign from Salam. During the interrogation in May, she was asked about the work of activists inside and outside Bahrain, and about human rights work in Geneva during the sessions of the UN Human Rights Council. For further information see GCHR appeal dated 31 May 2017. Journalist Nazeeha Saeed, former correspondent for France 24 and Radio Monte Carlo Doualiya, reported being tortured in 2011. She is no longer able to work as a journalist in Bahrain. On 18 July 2017, an appeal court in Manama upheld the sentence imposed by the second lower court on 24 May for “working without a license” against Saeed. She was fined 1,000 Bahraini dinars (approx. USD$2650). Her lawyer will appeal the sentence at the Court of Cassation if the court agrees to hear the case. On 17 July 2016, Saeed, was summoned for interrogation and was charged with unlawfully working for the international media under Article 88 of Law 47/2002. Saeed had applied for renewal of her license but her application was rejected without any basis. It was the first time in 12 years that her accreditation was not renewed. She was also placed under a travel ban. Saeed was arrested and tortured in May 2011 after covering protests. She was repeatedly beaten and subjected to electro-shocks 10 times while in police detention. One of the policewomen responsible was brought to trial but acquitted in October 2012. In November 2015, authorities decided against charging other identified officers because of “insufficient” evidence. GCHR expresses serious concern at the arrest and detention of Ebtisam Al-Saegh particularly due to the torture she suffered at the hands of the NSA in May. GCHR is also concerned that journalist Nazeeha Saeed is unable to work as a journalist in Bahrain due to her human rights reporting. GCHR expresses further concern at the on-going targeting of Bahraini human rights defenders solely as a direct result of their peaceful and legitimate human rights activities. 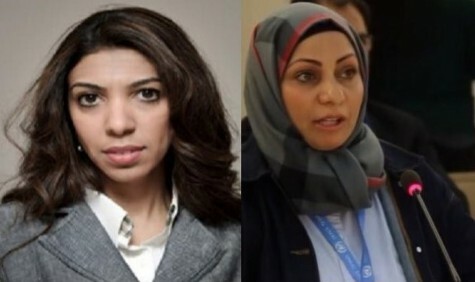 Guarantee that Ebtisam Al-Saegh, Nazeeha Saeed and all human rights defenders in Bahrain are able to carry out their legitimate human rights activities without fear of reprisals and free of all restrictions including judicial harassment.